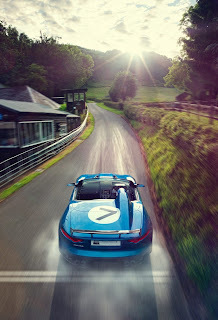 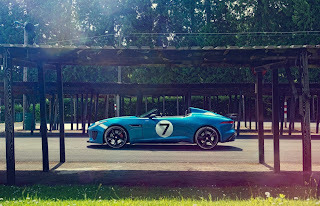 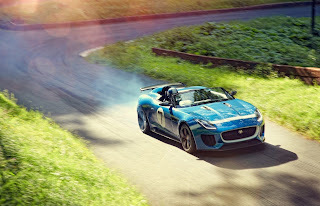 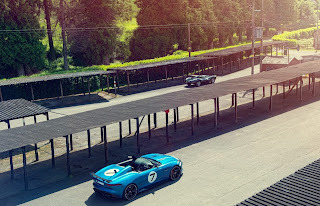 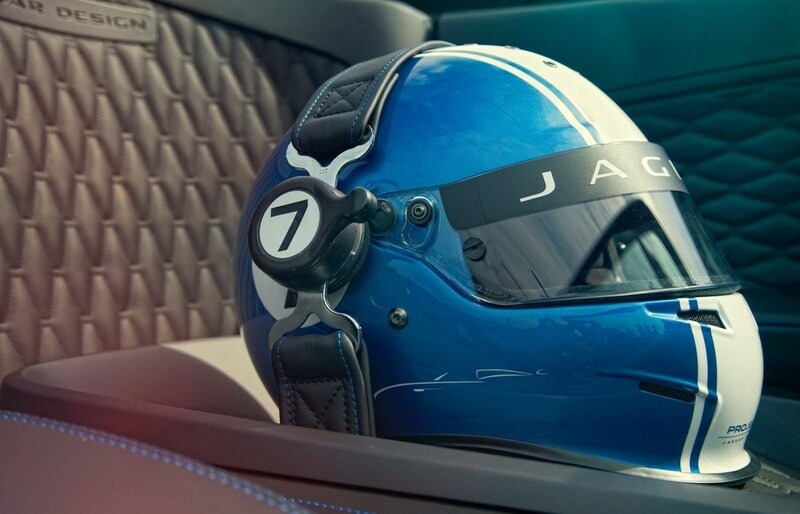 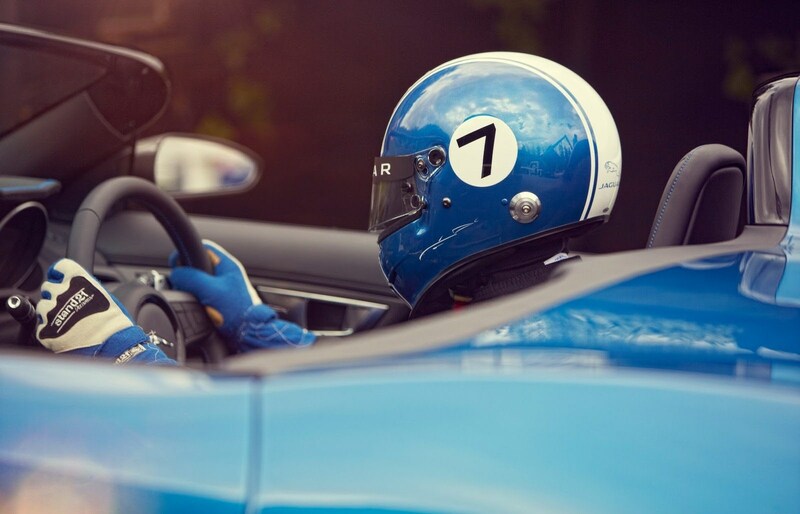 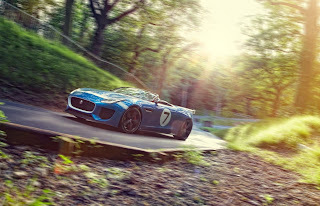 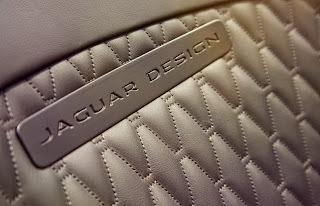 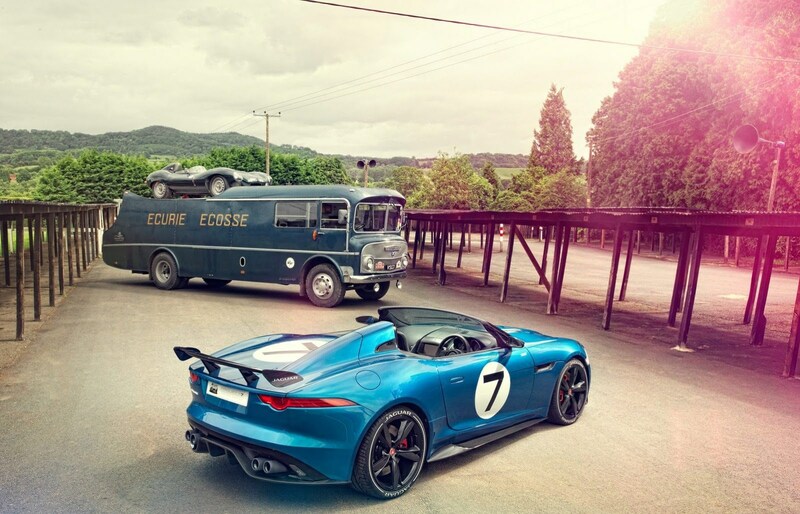 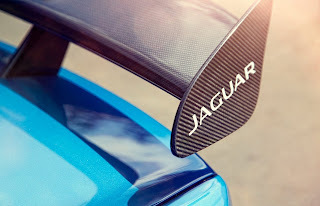 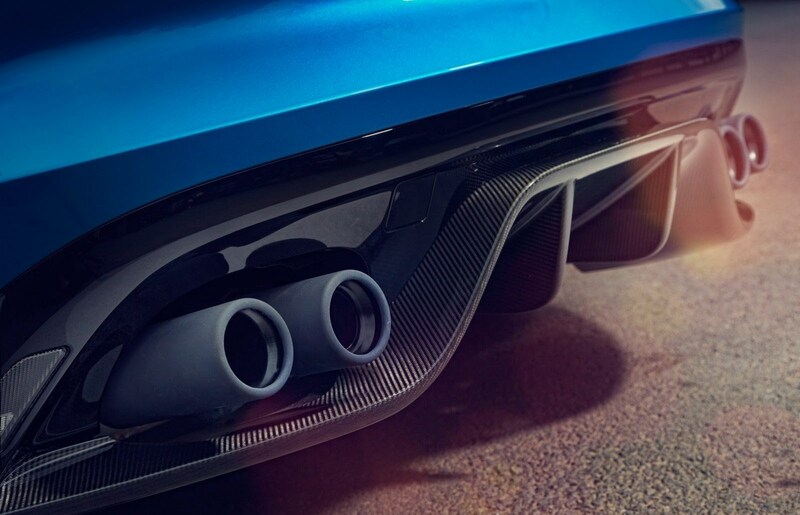 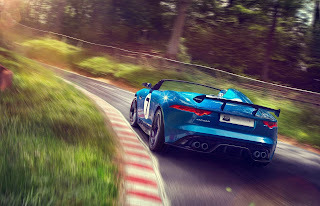 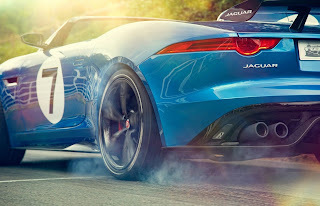 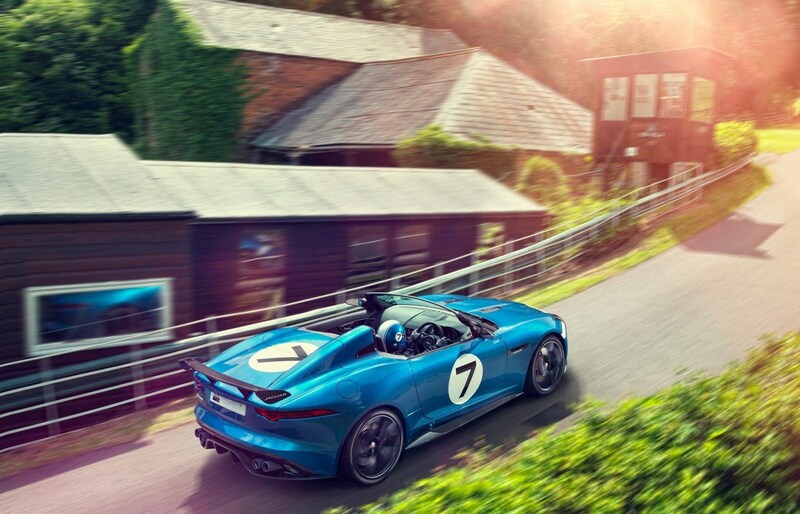 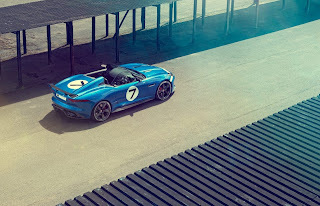 Ahead of the Goodwood Festival of Speed 2013, Jaguar has released the first images and details about the Jaguar F-Type Project 7 Speedster. 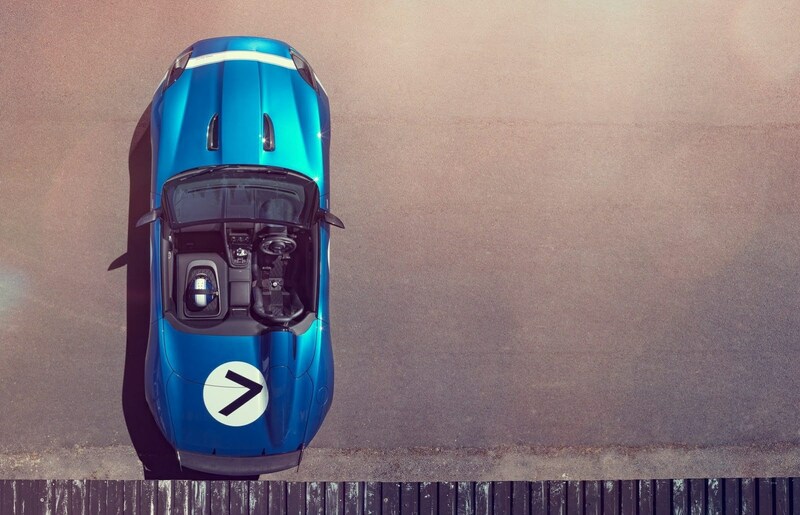 The Project 7 is a one-off created from the new F-Type roadster, inspired by the classic racing cars of the past, like the glorious D-Type. 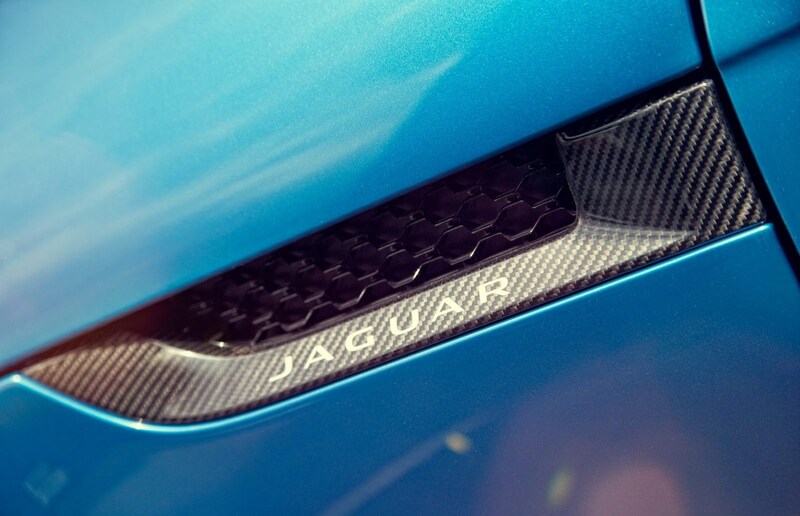 The body is completely made of aluminum with aerodynamic components made ​​of carbon. 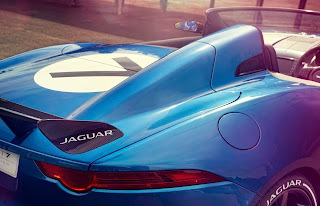 The fabric roof has been removed to make space for the roll bar and decrease the mass of the car. 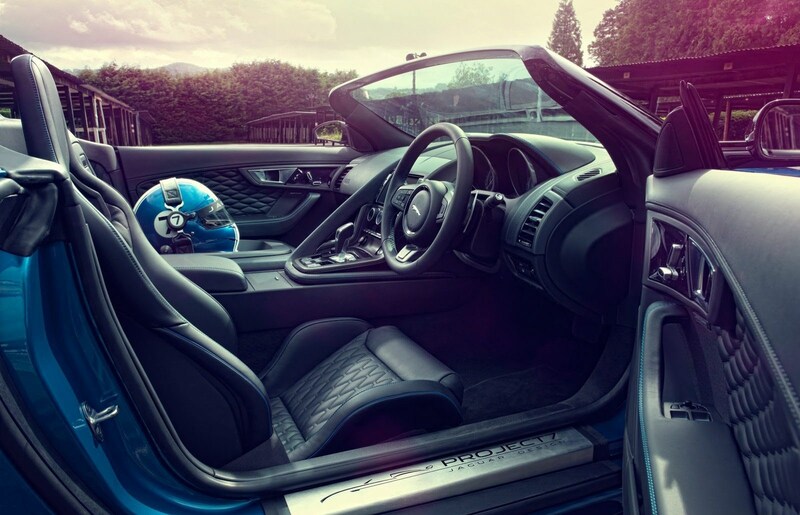 Inside, the passenger seat has been removed, while the pilot's seat is placed 30 mm lower than the road car. 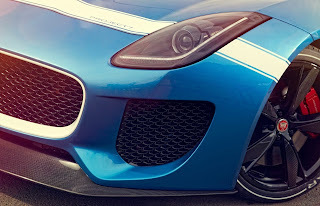 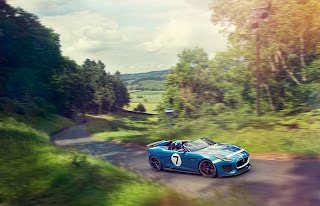 The 5.0-liter V8 supercharged engine is the same as the XKR-S GT, it delivers 550 hp and enables acceleration from 0 to 100 km/h in 4.1 seconds. 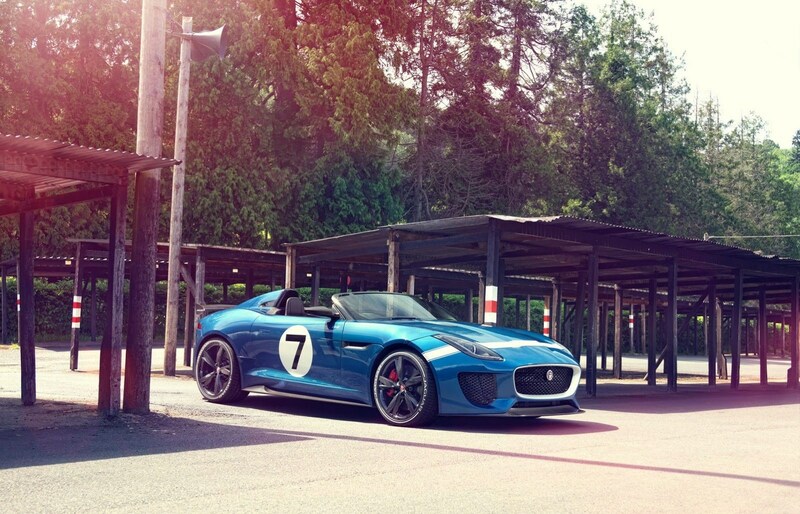 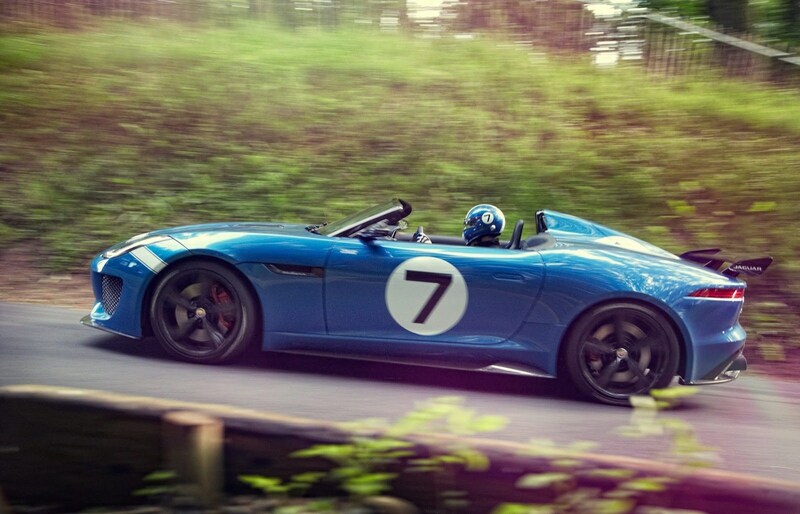 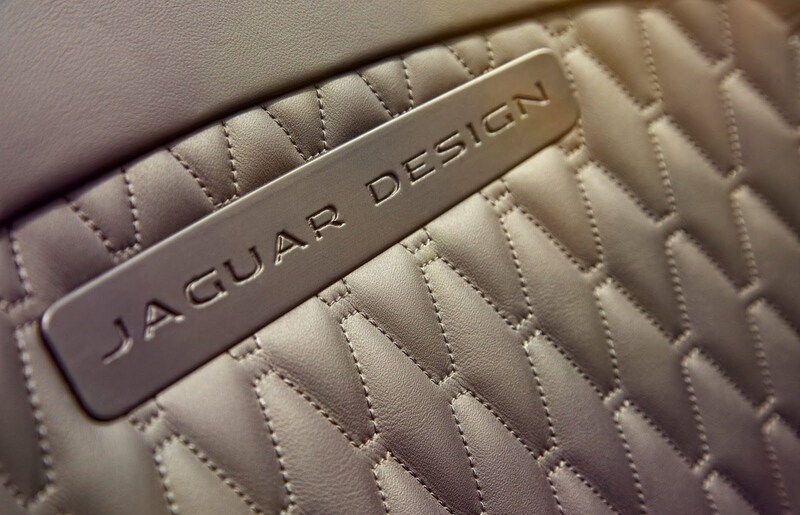 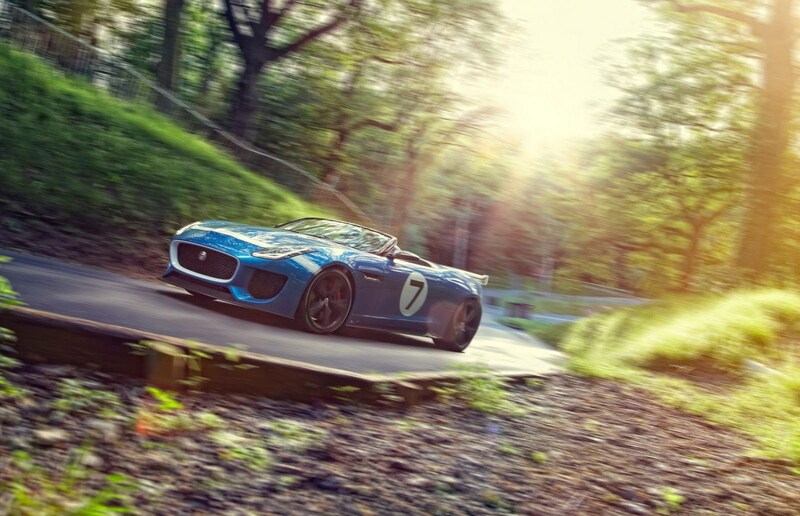 In vista del Goodwood Festival of Speed ​​2013, Jaguar ha rilasciato le prime immagini e dettagli della Jaguar F-Type Project 7 Speedster. 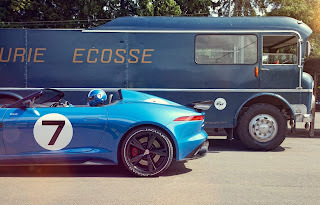 La Project 7 è un esemplare unico creato partendo dalla nuova F-Type roadster, ispirandosi alle classiche auto da competizione del passato, come la gloriosa D-Type. 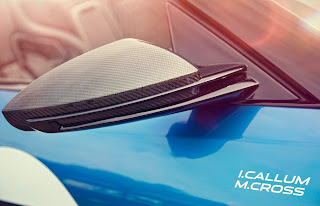 La carrozzeria è completamente in alluminio, con componenti aerodinamici in carbonio. La capote in tela è stata rimossa per fare spazio al roll bar e diminuire la massa della vettura. All'interno è stato rimosso il sedile passeggero, mentre il sedile del pilota è posto 30 mm più in basso della vettura stradale. 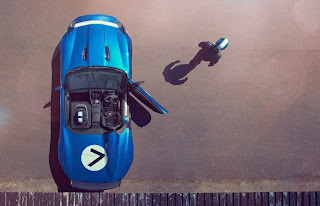 Il motore V8 5.0 litri con compressore è lo stesso della XKR-S GT, eroga 550 cv e consente accelerazioni da 0 a 100 km/h in 4,1 secondi.